This weekend, the 2017 Blancpain GT Series Sprint Cup gets underway at Misano World Circuit Marco Simoncelli with 34 cars starting their campaign to get their hands on the Sprint Cup. The junior portion of the Blancpain GT Series – with the Endurance Cup acting as big brother – the sprint championship is once again booming with entries from seven manufacturers. Ahead of the first round, The Checkered Flag takes a look at the grid and some of the pressing questions. Can Audi bring strength in numbers? This time last year, Enzo Ide slipped under the radar of many people – this writer included – but his performance in 2016 was a shot across the bows of the field. Teaming up again with Chris Mies means the young Belgian goes into Misano with the bit between his teeth and a target on the back of his Belgian Audi Club Team WRT Audi R8 LMS. When many people look at the entry list, especially at the Team WRT entries, many would have noticed the absence of Laurens Vanthoor. Mr WRT for many years, his departure for Porsche has meant a departure from the Blancpain GT Series but the talent assembled in the remaining four WRT cars is more than a match for anything else on the grid. The #2 sees the experienced Markus Winkelhock team with Formula One ‘escapee’ Will Stevens in what will be – by the end of the season – a full conversion to the ways of GT racing. The same could be said for the #5 as Dries Vanthoor, brother of Laurens, in his second year with the team partners Audi royalty – three-time Le Mans 24 Hours winner Marcel Fassler. WRT’s #3 is more a bastion of raw talent as single-seater convert Jake Dennis races alongside Pieter Schothorst – a man who’s stock is rising quickly. 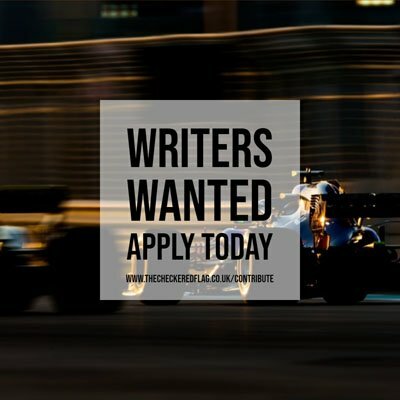 Their success – especially if Dennis performs as well as he has in the past – will be something of an eye-opener for the dozens of drivers finding their F1 dreams becoming more remote. The final WRT entry the #17, sees Stuart Leonard depart from regular co-driver Michael Meadows and join forces with Robin Frijns, someone who is becoming rapidly known as a safe pair of hands in anything he drives. It isn’t just WRT that are running Audis in the Blancpain GT Series Sprint Cup with ISR Racing running a pair of cars which could always be in with a shout of victory – especially with Frank Stippler, Kevin Ceccon, Filip Salaquarda and Clemens Schmid behind the wheel. The last Audi is always one that could through the cat amongst the pigeons with Audi regular Christopher Haase tackling the Sprint Cup alongside Romain Monti – the Frenchman learning the tricks of the trade through various single-make GT championhips before making his Blancpain debut last year. Will Mercedes-AMG go one better this year? Oh what might have been for Team HTP Motorsport and Team AKKA ASP, while they all had good pace last year, in the Sprint Cup they couldn’t fend off the might of Ide and Mies and would battle each other too often for one entry to break out and challenge the Audi crew. Hoping for different this year, HTP will bring two cars for the Pro class in the sprints. Maxi Buhk leads the attack again in the #84 but he gets a new team-mate, a man who caused something of a stir last year after a number of quick stints in an Audi – Franck Perera. Perera has shown he has pace in a GT3, pace to rival Buhk, so combining the pair should install them as the lead Mercedes competitor. Racing alongside them is Dominik Baumann, who won the overall title alongside Buhk last year, but with a new team-mate in the shape of fellow single-seater exile Jimmy Eriksson who will be looking to kick-start a career that has been somewhat middling in the last few years. HTP won’t have it easy though, as AKKA ASP enter to Pro cars alongside their all-conquering Pro-Am dual effort. The first cars sees Michael Meadows make his debut for the three-pointed star racing alongside a man who can quite rightly feel cheated he never got a chance in F1 – Raffaele Marciello. The Italian will be looking to make a career out of GTs and if he can get on well with the team, he’ll progress up the sportscar ladder. Though the other side of the garage may have some say in that as Felix Serralles joins Daniel Juncadella in a car that still proves some drivers can turn their hands to anything. Can Strakka convert McLaren’s Endurance pace to Sprint success? One of the biggest moves in the off-season was for FIA World Endurance Championship LMP2 front-runners Strakka Racing take on the mantle of racers of the McLaren 650S as the factory Garage 59 team take a step back. With a driving line-up discussed before, four cars is both the biggest effort put forward for the British marque in the Sprint Cup and there is a mix of McLaren factory stalwarts – Rob Bell, Alvaro Parente – Strakka regulars – Nick Leventis and Johnny Kane – as well as up-and-coming talent Ben Barnicoat, Lewis Williamson and Loris Hezemans. The drivers certainly bring talent, but McLaren always seem to have bad luck in the shorter races. In the three-hour Endurance Cup races their tactics see them push forward, but in the hour-long events they don’t seem to be able to shrink down their plans. If Strakka can unlock the 60 minute potential in the 650S they will be a force to be reckoned with. Do Ferrari and Lamborghini have the ability to bring Italian style? In GT categories all over the world, one would normally expect Ferrari and Lamborghini to be up at the forefront of the pack, but in the Sprint Cup both manufacturers have been relatively quiet in recent years. For Ferrari, none of their representatives this season will be in the running for Pro honours instead they are split between the Silver Cup and Pro-Am Cup. In the Silver Cup, Phil Quaife joins Lorenzo Case in a Spirit of Race Ferrari 488 with Michael Broniszewski returning to the Prancing Horse to defend his Pro-Am crown. Lamborghini will be represented by five cars on the grid – four in the top class – with GRT Grasser Racing Team bringing back their distinctive lime green machines. Ezequiel Perez Companc, Norbert Siedler, Mirko Bortolotti and Christian Engelhardt will share the two cars with no obvious skill gaps in that line-up. Attempto Racing have a Silver Cup entry for Max van Splunteren and Adrian Zaugg, as well as a Pro entry for Marco Mapelli and Giovanni Venturini. However, one team making their debut in the Sprint Cup could be a dark horse in the field as Orange1 Team Lazarus enter a Huracan for Fabrizio Crestani and rapid journeyman Gustavo Yacaman who will be looking to make a quick start in a new team to throw a few cats amongst the pigeons on the Adriatic coast. Do BMW and Bentley have what it takes to rekindle old magic? While both Bentley and BMW have had success in the last few years in the longer form of the Blancpain GT Series, they seem to have gone missing a touch in the Sprint Cup with results not seeming to fall their way in bigger cars that don’t particularly suit the rigour of the shorter Sprint circuits. That said, neither team had a driver problem, and that’s been reflected in Bentley’s unchanged line-up of Maxime Soulet and Andy Soucek in the #8 and Steven Kane & Vincent Abril in the #7. The team will hope that consistency in their driver crews will put themselves ahead of entries still looking to build chemistry in the opening rounds of the year. For ROWE Racing, the grid’s only BMW M6 GT3 runners, they have had somewhat of a driver reshuffle partly because of changing programmes for BMW. Because of that, Philipp Eng will still be sharing the #98 with a Brit as Tom Blomqvist steps into that entry in place of Alex Sims. The second car sees Jesse Krohn rekindle some of the American spirit from his time at Turner Motorsport in the IMSA SportsCar Championship as he races alongside Markus Paltalla. Both BMW pairings will be hoping that – barring their stunning win at the Spa 24 Hours – technical gremlins that struck at points throughout 2016 will be put to bed now the M6 moves into its second year of racing. Find out how the first round of the Blancpain GT Series Sprint Cup unfolds by keeping your eyes peeled on The Checkered Flag.